"Woven textile upper with rubber sole. Wrap ankle with tie closure. 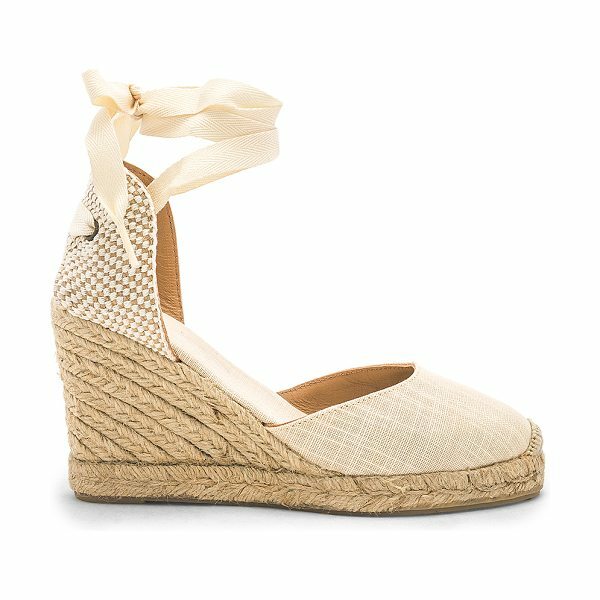 Jute wrapped wedge. 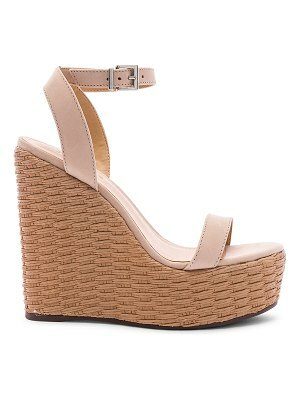 Wedge measures approx 3.5"" H. SOLU-WZ259. FWT1101. Inspired by traditional Mediterranean beach shoes, Soludos offers espadrilles that combine the classic natural jute sole and breathable cotton along with their own signatures. Colors and prints are strong, and each shoe is designed to relax with wear so as to achieve maximum comfort and fit."